The best of both worlds. The tidy collar of a shirt and the warmth of a sweater. The Unisex polo sweater from the brand Clique is made of durable 65% polyester and 35% cotton. Make your choice between screen printing or embroidery. The sweaters of the brand clique are our favorite because of the excellent price / quality ratio. Use the right colors (PMS or CMYK). How do I have to supply my artwork? Clothing sizes can deviate by 5% and that there are no rights derived from the size charts. Prices shown are per one design. We offer standard quantities to keep our prices low. Can’t find your quantity? Request a quote. Total price £ 0.00 You need to add more items for the same price ( units) why? Add more for the same price! We offer popular, standard quantities in order to keep our prices low. You can add more items on top of your current quantity selection, for the same price! Total price You've chosen a non-standard quantity for which we'll be happy to send you a quote. We're sure we can help you get the quantity you need. Simply hit the “Request Quote” button to get a price within 2 hours for the selection you made above. 4 How many colours does your design have? Make your choice based on the number of colours your design contains. The price shown is the total price for your chosen quantity. Difficult to make a choice? Let one of our specialists help you via our chat. When you choose to print a product with 1, 2, 3 of 4 (Screen printing or Embroidery), the design must be supplied with PMS Solid colors. Only if you choose for a full colour print, then your file should be supplied in CMYK. You can find here more about the different colour modes. For textile products the fonts should be at least 12 pt. 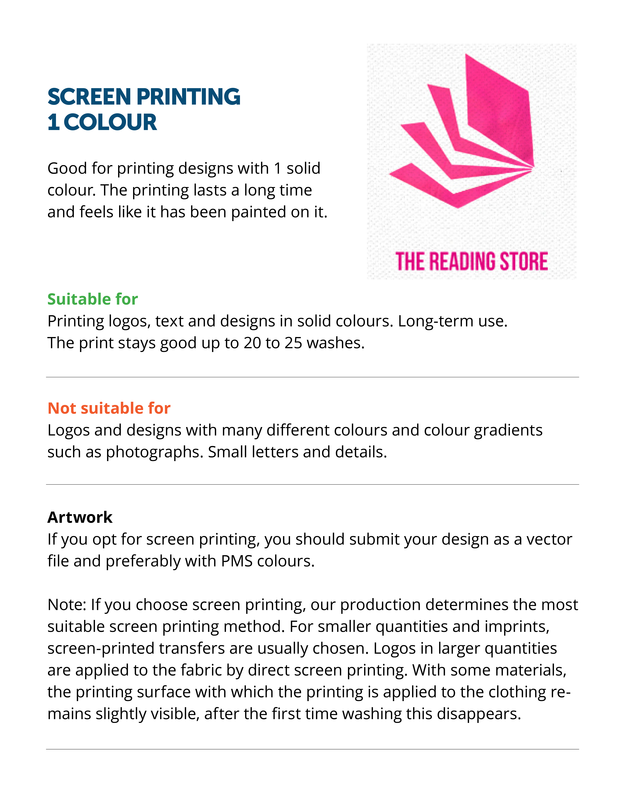 The type of file you need to upload for this product, depends on the number of colours you would like to print the product with. 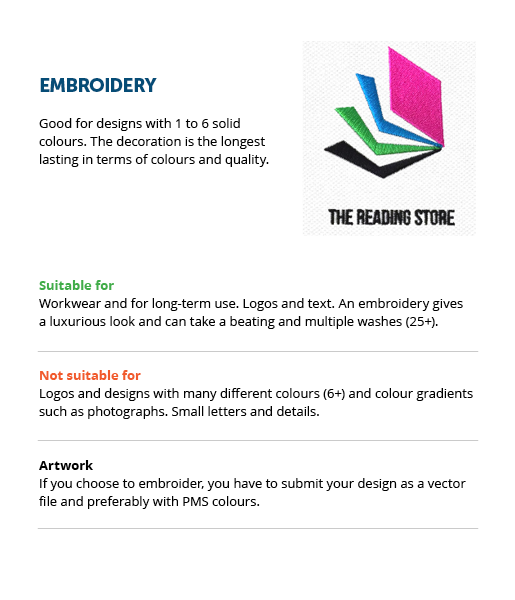 When you choose to print your product with 1 to 12 solid colours or you choose for embroidery, then we need a Vector-file to ensure the print quality. 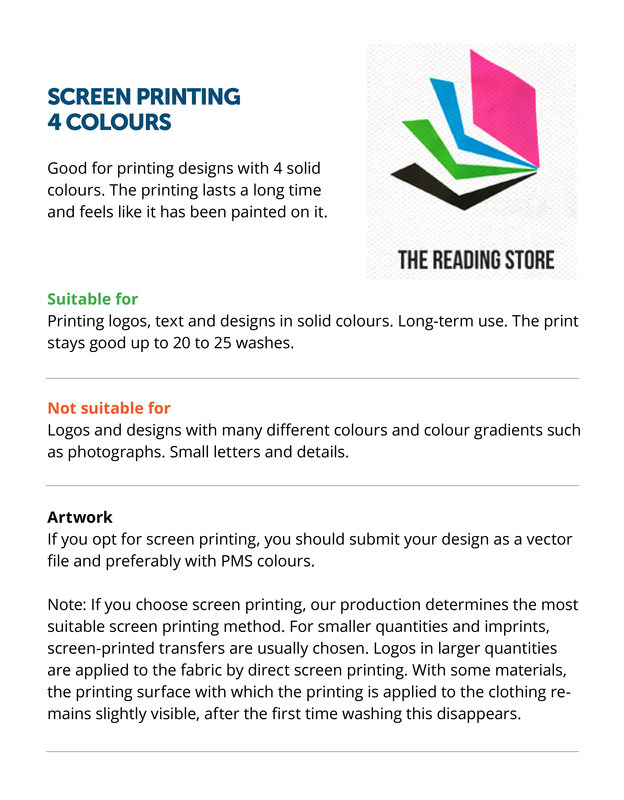 When you choose to print your product in Full colour, then we need a Pixel file to ensure the print quality. Not sure if you have a Vector or Pixel file? Or do you want to know how to create it? Please read our Pixels vs. Vector article. 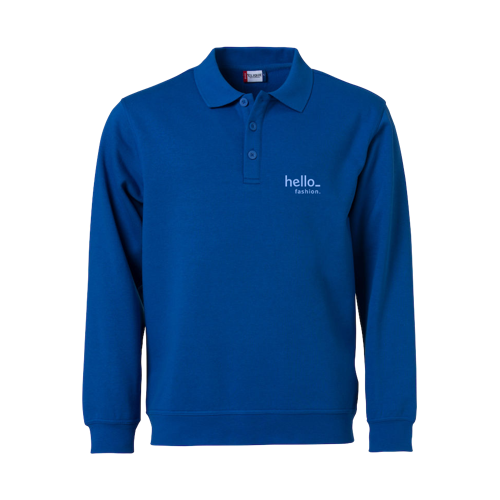 Polo Sweatshirt are clothing made from textile material and are the best way to stand out. 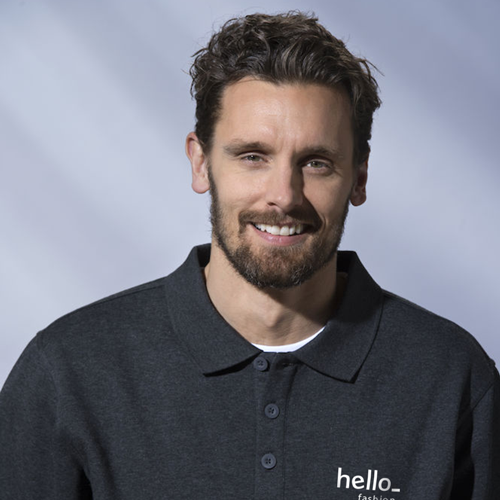 You can print your Polo Sweatshirt with the coolest designs. 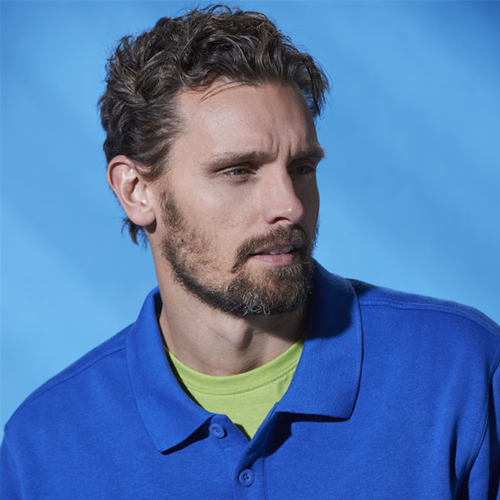 The Polo Sweatshirt can be used as promotional items, as working clothes or as teamwear. Screen printing. This technique is useful for large quantities of prints. Screen printing is relatively expensive to start, but the time and cost to print a shirt are much lower than with DTG. Embroidery: An embroidery sewing machine is used to create patterns and printings on textile products. Your design will be turned into a digital embroidery card. This embroidery card is needed to control the machine and to print your design on a textile product. For the delivery of your polo sweatshirt we use multiple carriers. Because of the highest reliability, in most cases we use UPS or DPD. It is possible to supply your design files in multiple ways. The best way, for the best result, is to supply your files in Vector. If the logo consists of pantone colours, it should be saved as vector. Vector means that the design isnt made of pixels, but out of lines. How long will the print last? With silk-screen printing and embroidering, the decoration will last at least 20 washes. After 20 washes the print may begin to fade in colour. In the case of a full colour, the printing will last at least 10 washes and the print can become less fierce after the first wash (2-10% less), especially with light fabrics. 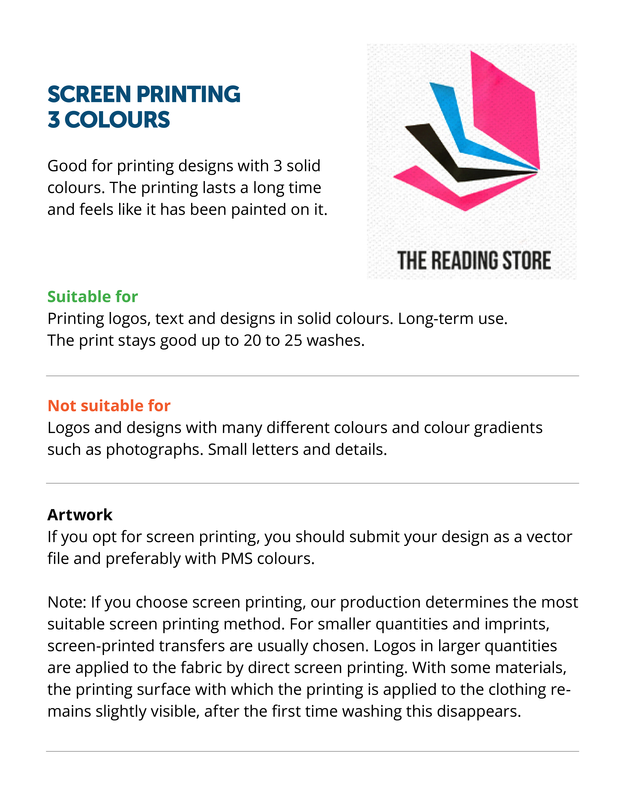 The above is only applicable if you strictly adhere to the washing instructions for the different types of printing. Can the print positions deviate from the print? Printing Polo Sweatshirt is different from printing paper, not a single Polo Sweatshirt is the same. It can be that there is a small deviation in the position of the print. 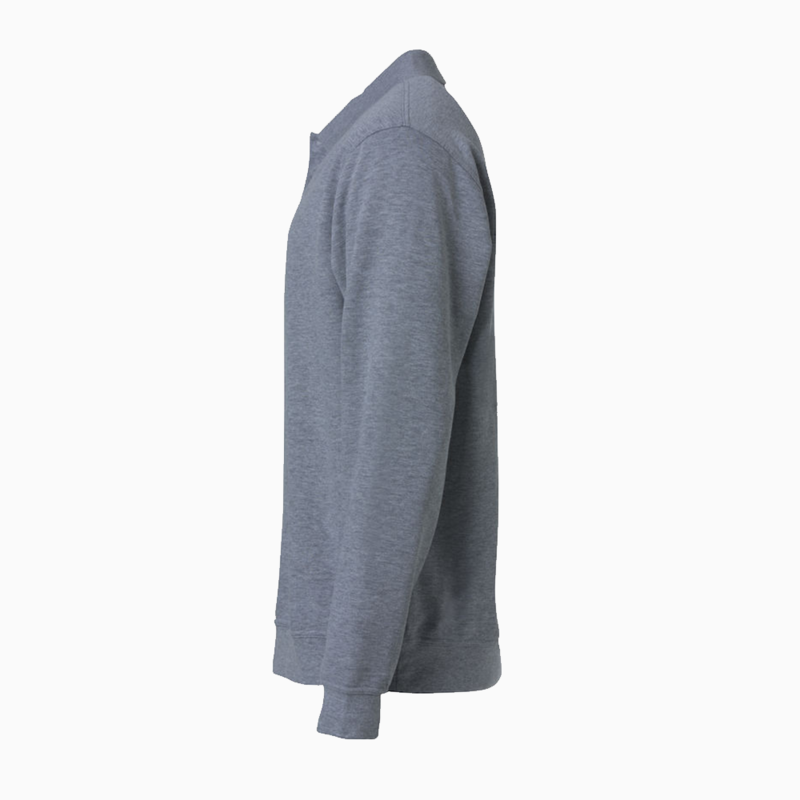 This is minimal and often not visible when the Polo Sweatshirt are worn.